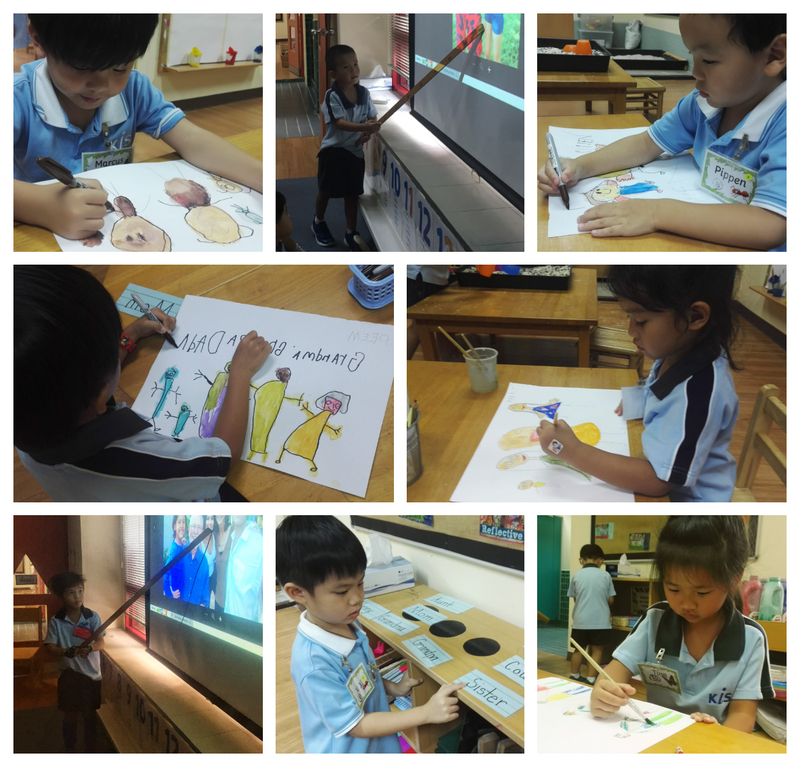 We continued to learn about families, while developing speaking, listening, reading and writing skills. More children painted their families (adding written labels by identifying word cards for reference), and nearly every day ends with a family photo presentation, complete with a Q & A session. Our inquiry into the playground nature collection continues. 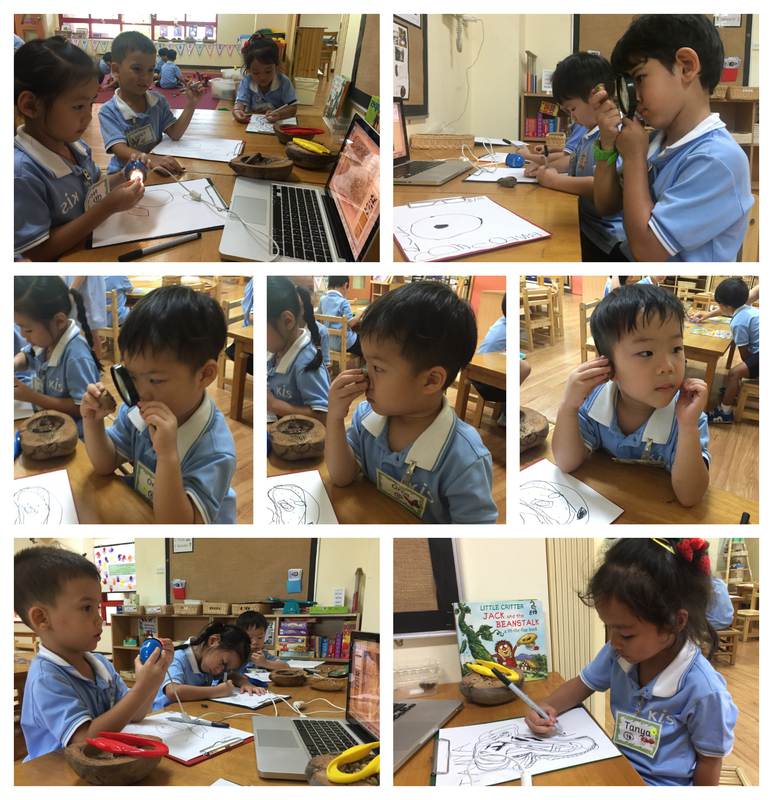 Last week, our scientists even thought of using our senses of smell and hearing to investigate! 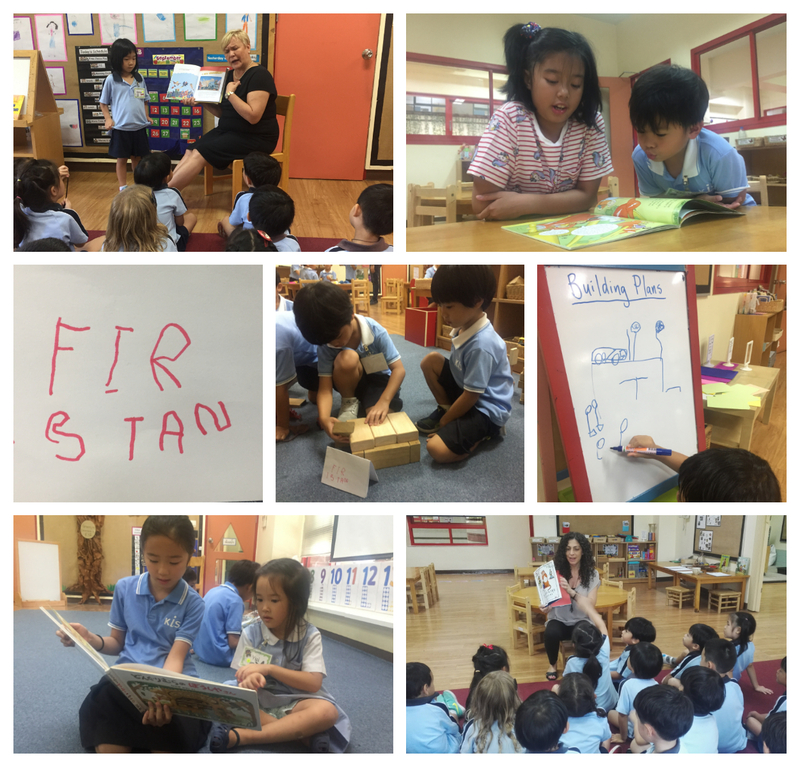 Several children have come to school with favourite books from home, wanting to share them with the group at story time. This is a wonderful way to nurture a love of reading, and also connects with one of our lines of inquiry, ‘developing passions in ourselves and others.’ We have been bringing literacy into the construction centre as well, encouraging our builders to make signs for their buildings and add labels to their building plans. Of course, we also enjoyed another great visit with our Grade 3 reading buddies! We continue to explore patterns with various materials at centre time, in addition to daily routines such as the calendar where we look at colour and number patterns. Last week, we also began to explore a new math resource called Numicon, which uses concrete manipulatives to build a strong foundation for the abstract world of number. 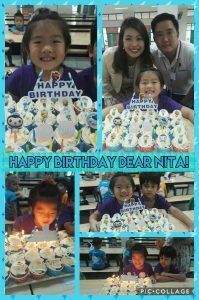 Last week we celebrated Nita’s 5th birthday. A big thanks to Mom and Dad for joining the celebration and for the delicious cupcakes! 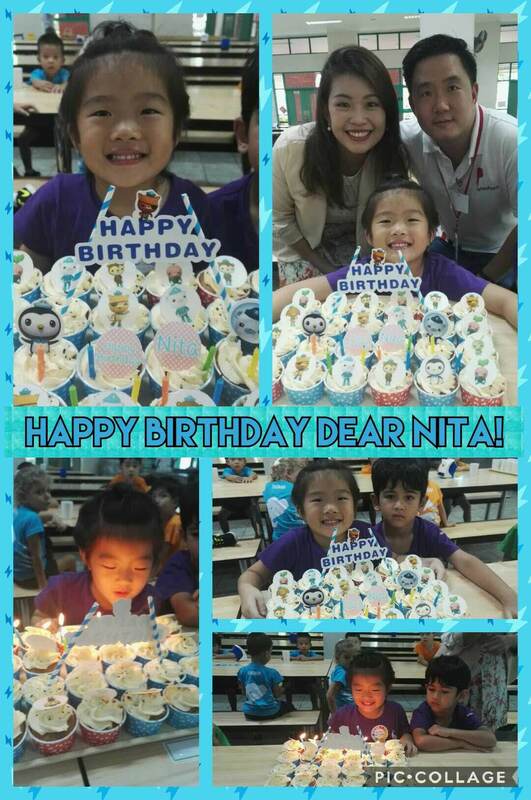 Happy Birthday, Nita! Friday October 5th, 8:20 am – 9:40 am: House Spirit Sports Games – EY children will participate in ball activities with their house teams on the PYP basketball court, and should wear their house shirts, with PE shorts and shoes. Accessories to build team spirit (i.e., house-coloured face paint or headbands) are also welcome! **CORRECTION: Last week’s post indicated that swimming would be cancelled on House Sports Day, however we WILL have swimming class as usual on Oct. 5th. As the special events will be finished at 9:40, the rest of the day will follow the regular schedule, with no cancellations. Children should come with their swim suits on under their clothes, as we will have very little time for changing. *Sign-up sheets are now posted outside the EY2 classroom near the door where parents wait at pick-up time. Please sign-up for an appointment as soon as possible if you have not done so already. If you will not be able to sign-up in person, please email Ms. Risa or Ms. Tuovi and we will be happy to arrange the appointment for you.